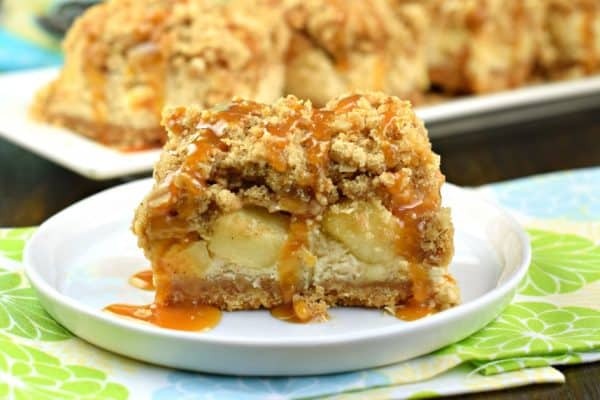 One bite of these Caramel Apple Cheesecake Bars will leave you wanting another! 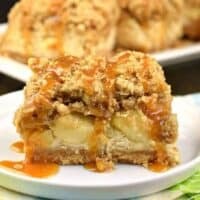 Cookie crust with creamy cheesecake filling, fresh apples, and a thick brown sugar streusel, all topped with a drizzle of decadent caramel sauce! This is the last week of school for my kids before summer break kicks in, so I thought it only appropriate to make an out of this world dessert. 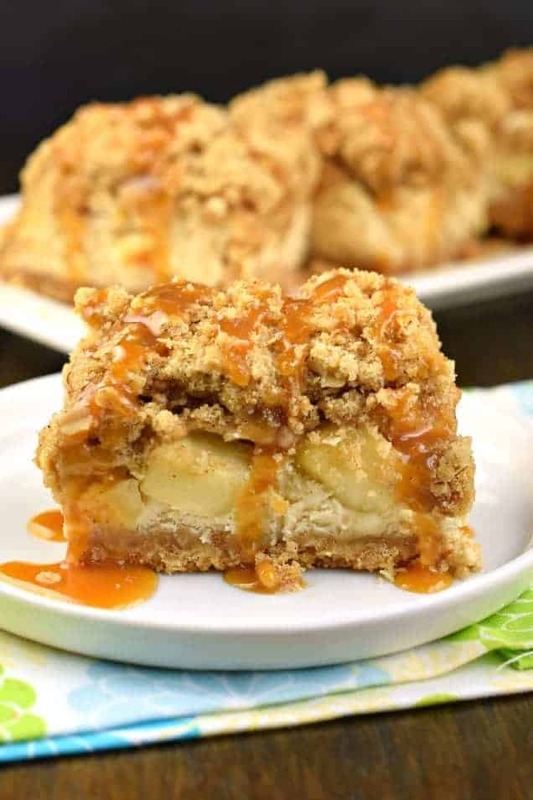 It doesn’t get any better than cheesecake bars, specifically Caramel Apple Cheesecake Bars! 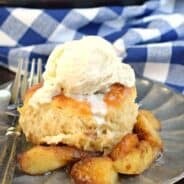 I’ve been working with Crunch Pak Apple Slices for a number of years now, and this recipe has been on my radar for just as long. It’s really a no brainer for me since I’ve created so many flavors of cheesecake bars in the past…but today’s is a bit different. 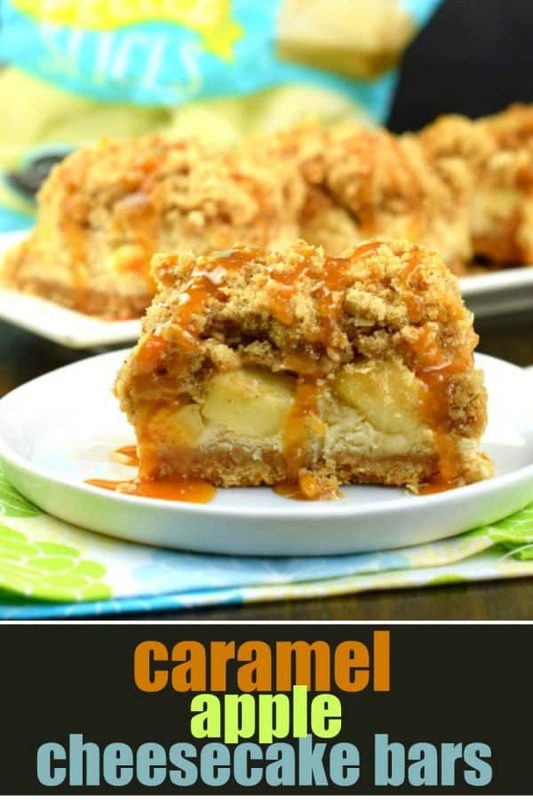 Instead of topping it with a cookie dough, I’ve put on a thick layer of cinnamon streusel and drizzled it with caramel sauce! For today’s recipe I used Crunch Pak Peeled and Sliced Apples, but any variety of their apples would work great. And leaving the skin on would be just fine too (would even add a pop of color)! Bake your crust for about 8 minutes in a 350 degree F oven, just to help it firm up before adding the filling. Next make your cheesecake layer. Melt white chocolate and heavy whipping cream in the microwave for 1 minute. Stir until smooth. This will add delicious flavor and moisture to your cheesecake filling, without making it taste like white chocolate. 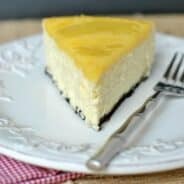 Continue by preparing the cheesecake filling per the directions below. Pour over your prepared crust. Top with your Crunch Pak Apples, diced. Make your streusel by using brown sugar, quick oats, flour, and softened butter. 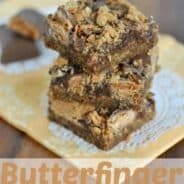 Mixing with your hands until crumbly. Sprinkle over apples. Bake Cheesecake Bars for about 40 minutes. The center may still jiggle, this will set up as it cools. Cool bars completely on counter, then refrigerate for at least 3 hours. I prefer to make this the day before and allow the cheesecake to chill overnight. 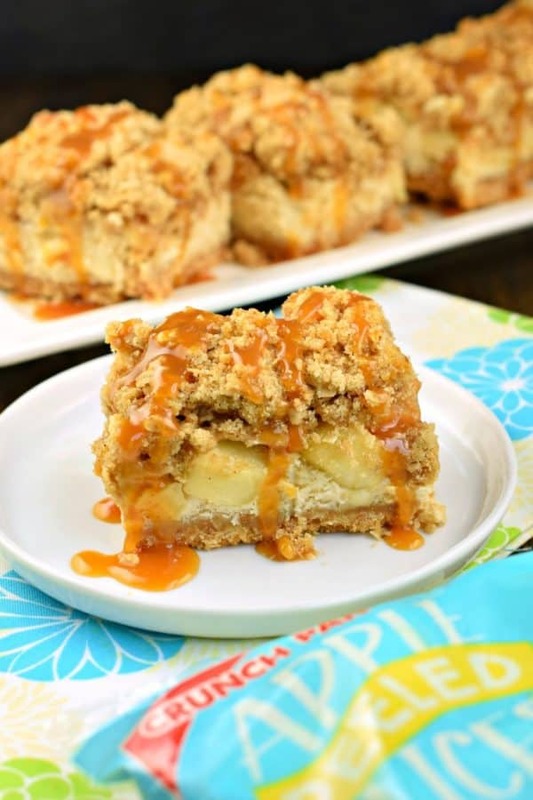 When ready to serve, drizzle with caramel sauce, either homemade or store bought. ENJOY! 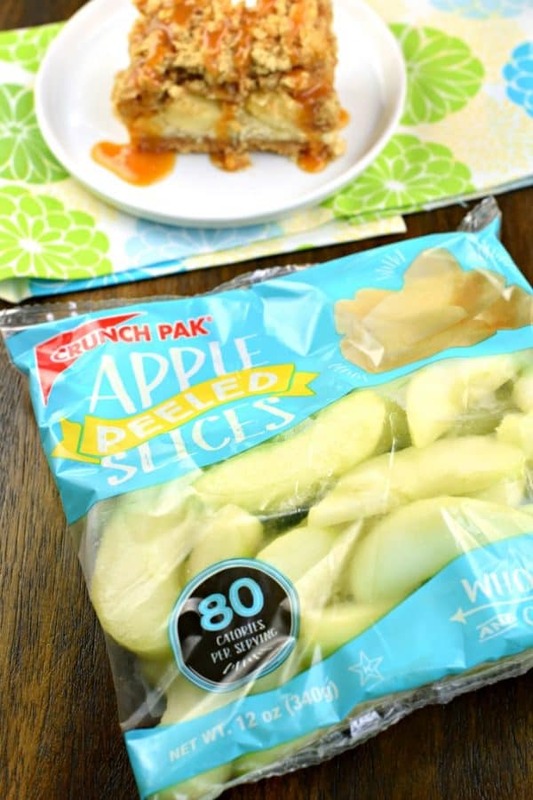 I’ll be stocking up on some Crunch Pak apple slices for summer snacking. They’re perfect for long car rides or trips to the beach! Apple Ring Fritters are such an easy treat…the only hard part is deciding if you want to dip them in chocolate or caramel? These Apple Hand Pies are one of the most popular hand pie recipes on blog, have you tried them yet? Apple Butter Pumpkin Pie from Tidy Mom is a delicious combination of flavors and texture that just screams “fall” with apple and pumpkin, in a heavenly spiced custard pie. The slightly crisp pecan streusel topping gives a surprising crunch in every bite. These Caramel Milky Way Cheesecake Bars from Inside BruCrew Life are drizzled with chocolate and caramel and every bite is pure heaven. 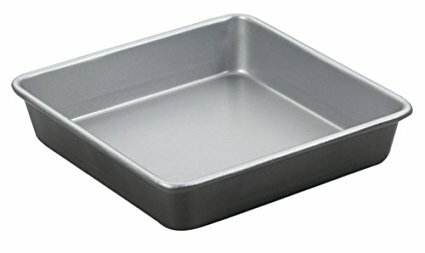 Preheat oven to 350 degrees F. Line a 9-inch square baking dish with foil. Set aside. 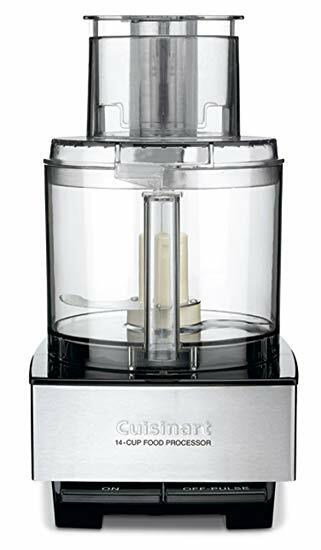 In a food processor, process cookies until fine crumb. Slowly add in melted butter and mix until completely combined (I just pulse a few times). 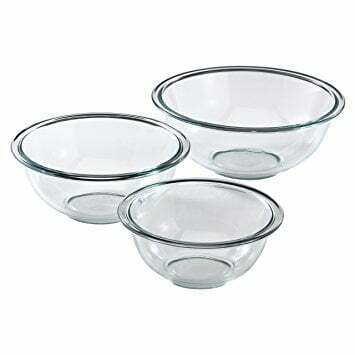 Press into the bottom of your prepared dish. Bake crust for about 8 minutes, remove and cool while preparing cheesecake filling (doesn't need to be cooled completely). For the filling, combine white chocolate chips and heavy cream in a microwave safe bowl. Heat one minute and stir until melted and smooth (heat additional 15 seconds if needed). Set aside. In a mixer, combine cream cheese with sugar and cornstarch and beat until fluffy, about 3-4 minutes. Beat in sour cream, eggs, vanilla, and spices. Slowly beat in white chocolate mixture. Pour over prepared crust. Top with diced apples. Set aside. In a bowl, combine streusel ingredients and mix with hands until crumbly. Sprinkle over apples. Return to oven and bake for 40 minutes. Center may be slightly jiggly. Cool completely then refrigerate for at least 3 hours (or overnight). When ready to serve, cut into bars and drizzle with caramel sauce. ENJOY!